[prMac.com] Cirencester, United Kingdom - Independent game studio Neon Play, and Escape Hunt, the masters behind real-life escape rooms with locations in 27 countries, today announced the launch of Escape Hunt: The Lost Temples 1.2.3 on iOS mobiles and tablets. The first in a new series of escape room adventures, Escape Hunt: The Lost Temples blends incredible photorealistic 3D graphics with fiendish challenges that have been meticulously crafted by the finest minds behind Escape Hunt's global network of live escape game centres. 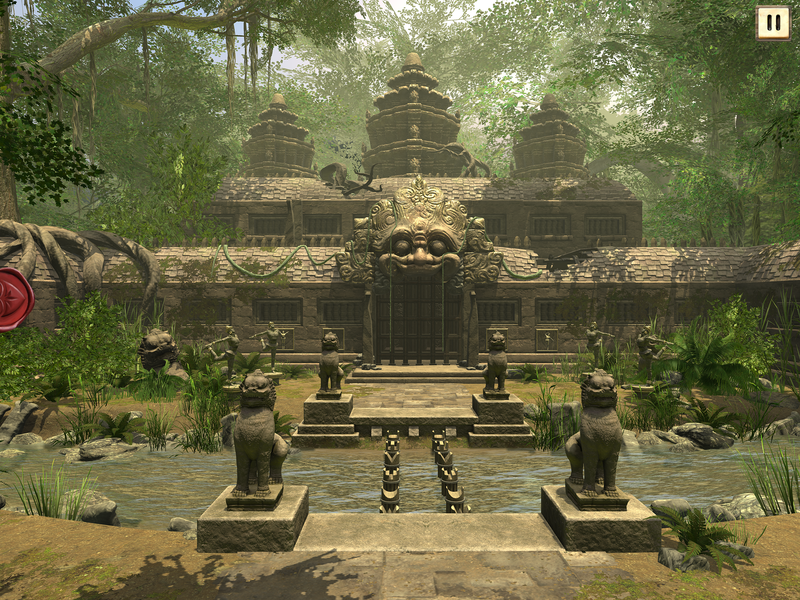 The year is 1890; you arrive at an abandoned temple of The Khmer Kingdom deep in the jungles of Cambodia. Your old friend, Professor Antoine LeBlanc, has gone missing while investigating the legendary city of Karnia in South Asia. As a renowned detective, you have been sent to uncover what happened to him. You must retrace his footsteps, looking for answers about his disappearance and exploring the mysteries of the jungle temples. Can you reveal the truth? From the jungles of Cambodia to the luxurious temples of the Khmer Kingdom, explore highly detailed locations, using logic and deduction to complete a variety of mind-bending challenges. Piece together clues and collect items for your inventory to help solve future puzzles. Travelling through ancient temples, rooms, courtyards, cellars and more, you're faced with a variety of challenging puzzles to keep you guessing and entertained for hours. If you are feeling stuck, then you can access hints in your notebook to help solve puzzles and move on to the next room. Escape Hunt: The Lost Temples 1.2.3 is Free (for the first two levels.) and available worldwide exclusively through the App Store in the Games category. For more information, please contact Theo Tsangaris. Based in Cirencester, United Kingdom, Neon Play Ltd is a leading mobile games studio founded by Oli Christie and acquired by Hachette UK in 2016. Neon Play makes iPhone and Android games and works with a variety of partners with the aim of launching the most addictive and fun games on the Apple App Store and Google Play. Copyright (C) 2017 Neon Play Ltd. All Rights Reserved. Apple, the Apple logo, iPhone, iPod and iPad are registered trademarks of Apple Inc. in the U.S. and/or other countries. Google, Google Play and the Google Logo are registered trademarks of Google Inc.